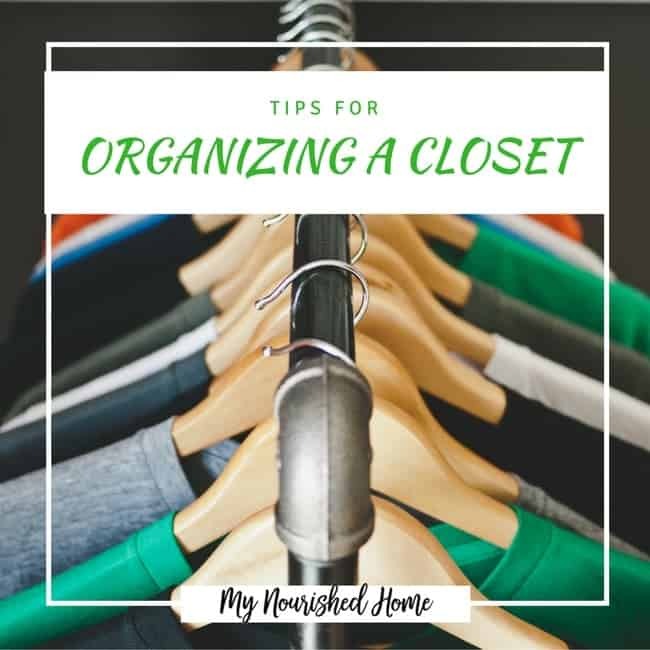 If you dread to open up your closet door, chances are you are struggling to organize that space! 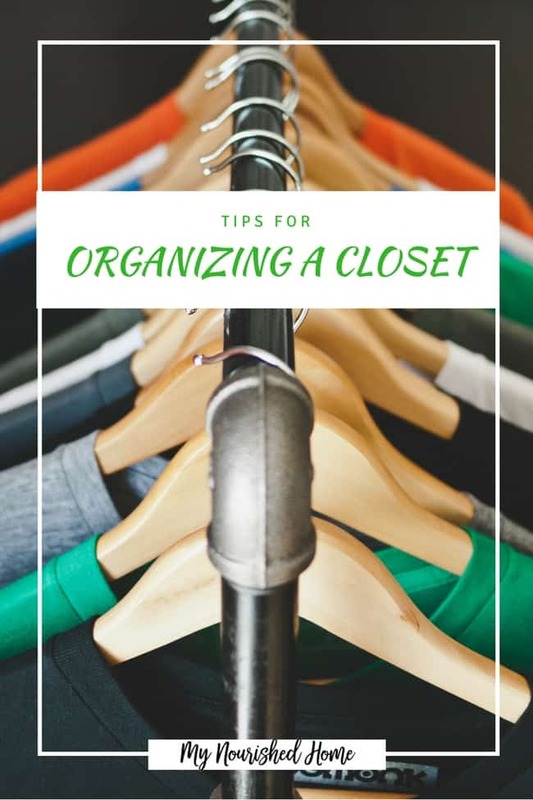 You need Tips for Organizing a Closet! You should be able to open your closet and see clothes that you love and fit you. This is one of the hardest areas to organize, it can fill you with dread and stir up emotions just by the simple act of opening up a door! Your closet should be home to the clothes that you wear, that you love and nothing else! There is no room for clothes that you might fit into one-day, or clothes that might come back in fashion! Organizing a Closet is HARD! Sorting out and organizing a closet isn’t easy, it can bring emotions that we don’t want to deal with and it’s hard! Clothes that don’t fit anymore. Gifts we received over time. Something from a special event that we just don’t want to get rid of. You can’t organize your wardrobe in a matter of minutes if you haven’t gone through it regularly! It’s a slow process to organize your closet space! Not only do you need to try on items, you need to put them into different categories as to what you intend to do with them. You have options, this is always a good idea as what works for one person doesn’t necessarily work for the next! You must assess the space that you have, the storage options you own and what is currently working and most importantly, what isn’t. Only then can you move forward with creating an organized closet space! Separating your clothes into categories that will work for you is important, you might want casual and work clothes, or tops and bottoms. It must make sense to you for the system to work! Don’t rush to the shop to buy more storage, look at what you have and see if you need to change how you store items in those spaces to free up more space. Use the vertical height in your closet, when considering different storage options. A hanging cube accessory to store your shoes will give you more floor space, for other storage options. Having a beautifully organized closet is great. But if you can’t see the items to pick out an outfit, or to put things away, it becomes a difficult task. You need to consider lighting up your closet! This isn’t difficult, there are plenty of options when it comes to lighting, take your time to get it right! If you are looking for the pulled together, cohesive, look there are some finishing touches that will increase the appeal of your closet! However, unless you use your closet, putting things away in the right place all the extras won’t make the systems work for you, but they will add to the clutter in your closet! What is your best tip to organizing a closet? Need more help organizing your home? Check out these tips on Organizing a Chest Freezer too!